According to HubSpot, generating leads and traffic is the greatest challenge for 65% of companies. For starters, you need a good lead generation campaign that will connect you with qualified leads who can potentially move down your sales funnel. Follow the four basic steps to create your first lead generation campaign. Lead generation is similar to when you see someone for the first time, become attracted, and then feel curious to learn more. You want to be the one who attracts! How to do that? It’s easy: Be in the right place, at the right time and with the right people who have interests that match yours. In other words, do good research beforehand. Here are our four steps and tips to creating your first lead generation campaign. This is the foundation of any successful campaign. The offer should be relevant to your buyer persona — it should excite or educate them. Research your audience and find out what makes them tick, and especially what they are struggling with. Pick the topics that address their pain points, pique their interest and provide answers to questions they might have. The landing page is where the visitor is taken after they’ve clicked a CTA for an offer. Think of it as the first conversation you have with a person you’ve just met. This is a great chance to leave a good impression on your audience, who is now curious about you. Even though they might not seem as important a part of the process, faulty design or a lengthy contact form can scare visitors away. Optimize your landing pages to look clean and clear, and trim all unnecessary content. Companies often overlook this step or dedicate the minimum amount of time to making a generic thank-you note. If you’ve had a good conversation with someone, would you leave them without thanking them for their time or a kind goodbye? We don’t think so. A thank-you page is exactly like this. People have already become qualified leads at this point, and you want to see them again or at least leave a good impression so they’ll put in a good word for you. Well, a good thank-you page could let them become your promoters by recommending the offer to a friend (or their whole news feed), or you could direct them to other offers they might be interested in. The promotion will make or break your whole campaign. If it falls flat, no one will hear about your awesome offer, which is kind of the whole point. Combine all your content distribution channels: email, social media, blogs, SEO and company website, and let the whole world know about your offer. Repurpose content in a smart way: break up longer forms like ebooks or case studies into blog posts or infographics, and offer them as breadcrumbs leading to the main course — your gated content offer. 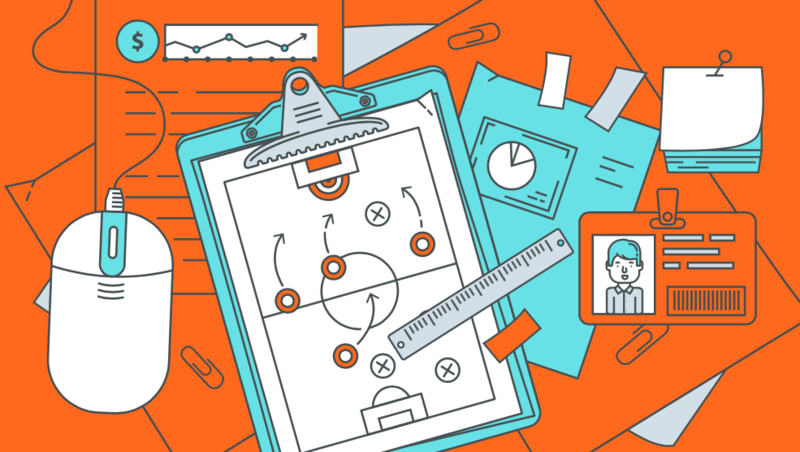 You now know about the basics of creating a lead generation campaign — the next step is to put the knowledge into practice. 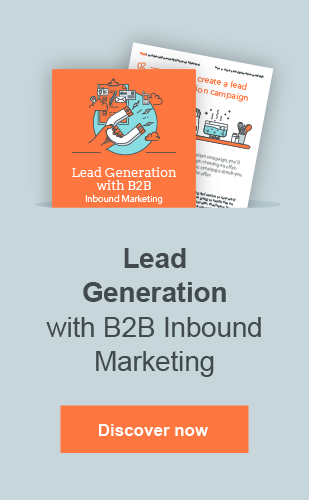 For advice on optimizing landing and thank-you pages, download our Lead Generation with B2B Inbound Marketing eBook, which also teaches you the best ways to generate leads and which content types to use along the buyer’s journey. If you’re unsure what makes a good offer, check out the B2B Inbound Marketing Content and Channels eBook. You’ll learn how to pick the right topic, style, content type and distribution channel for your audience.